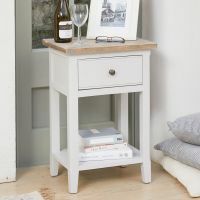 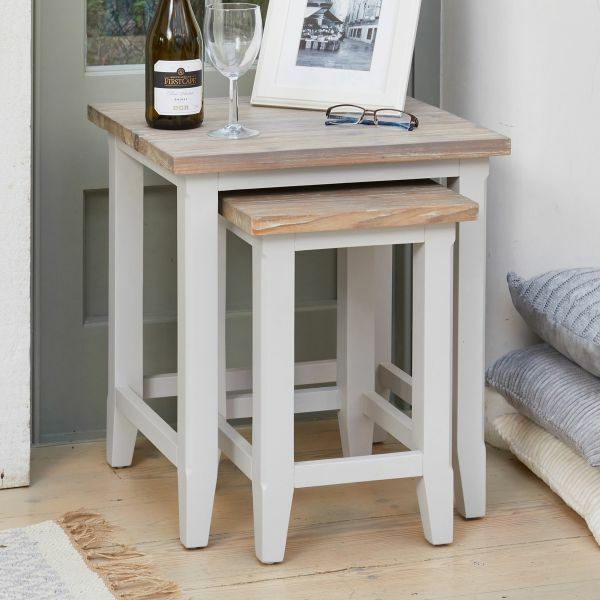 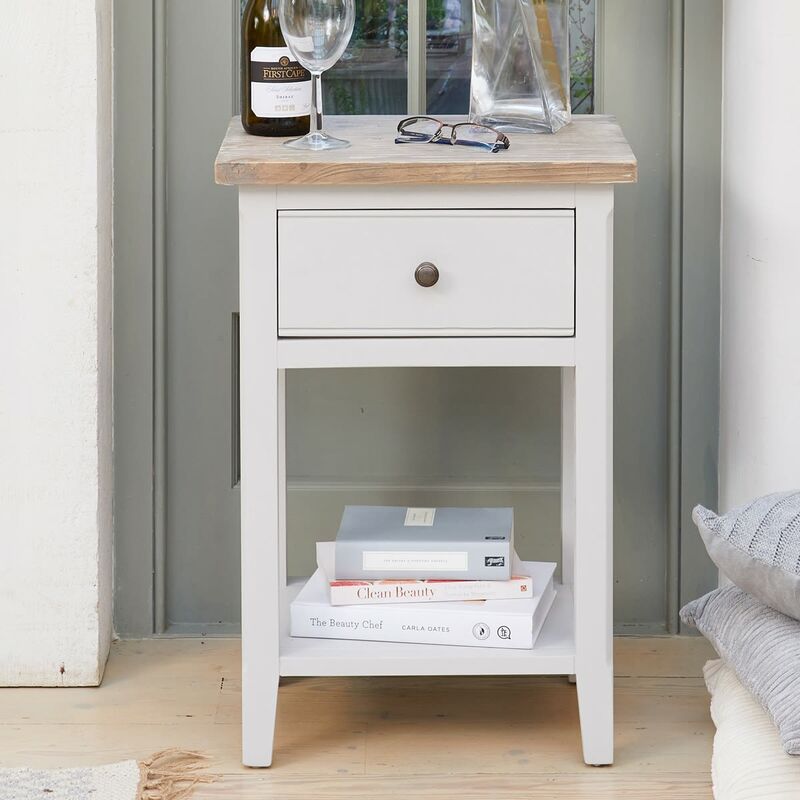 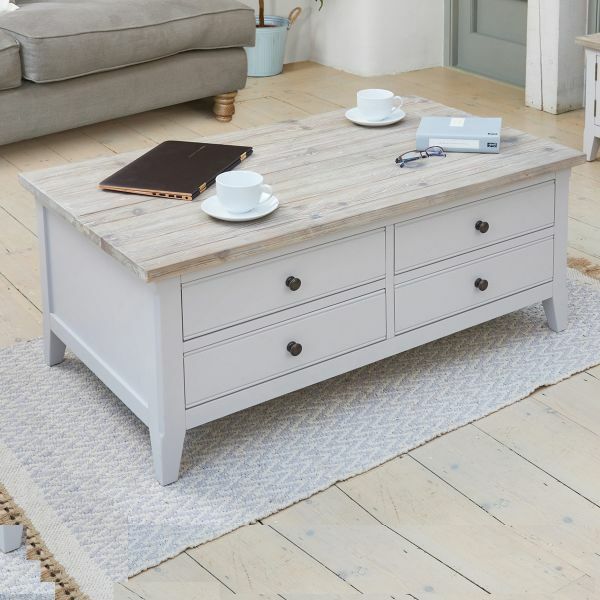 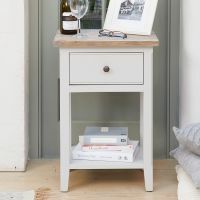 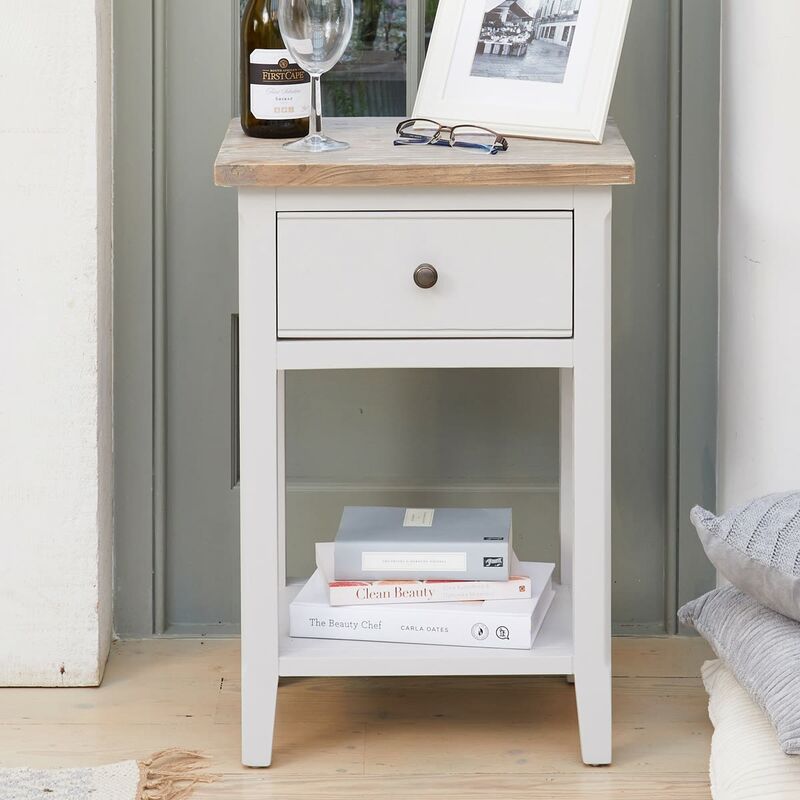 At the end of a sofa, as a lamp table or as a telephone table in a hallway, this versatile Signature Grey One Drawer Lamp Table will be a smart addition where ever you use it. 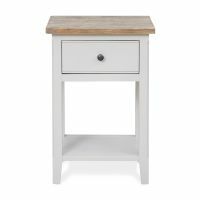 With a hand distressed limed top and contrasting grey painted frame, it suits a variety of modern country style interiors. 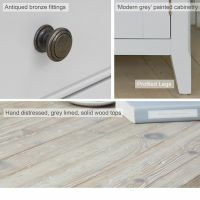 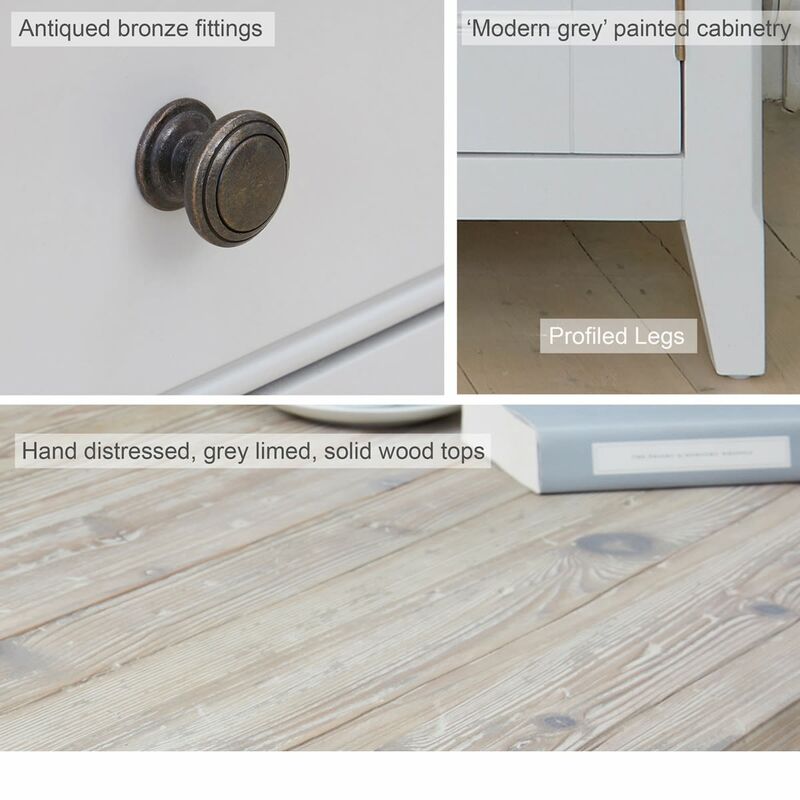 A useful drawer with a distressed bronze knob and a handy lower shelf add it its practical appeal. 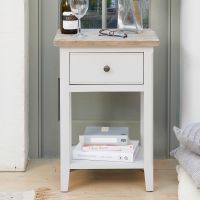 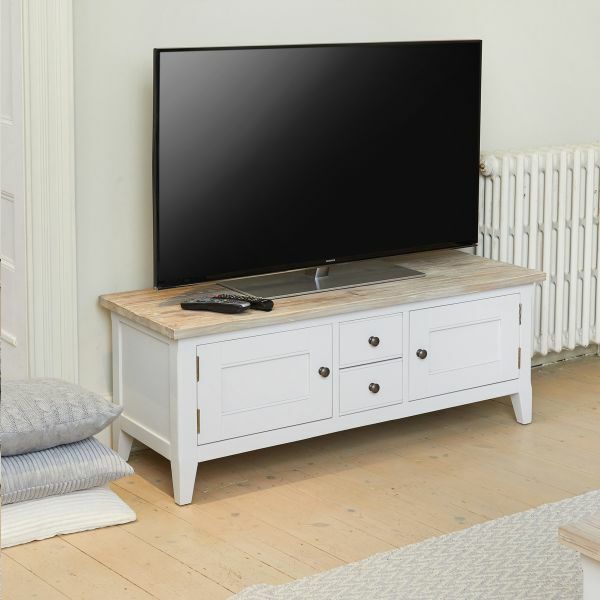 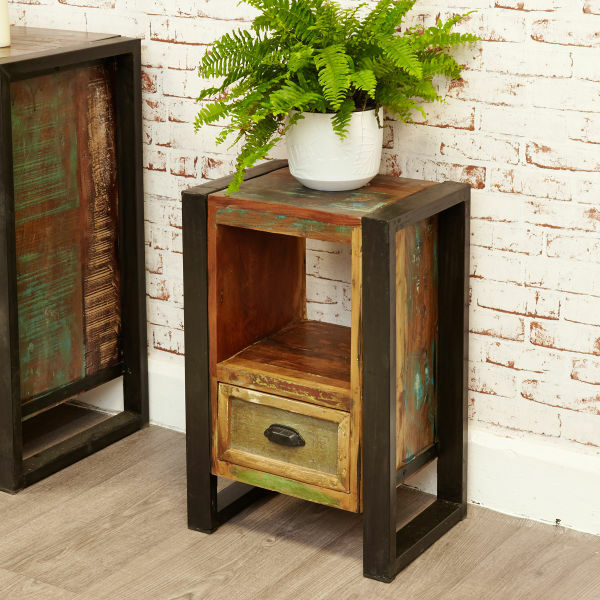 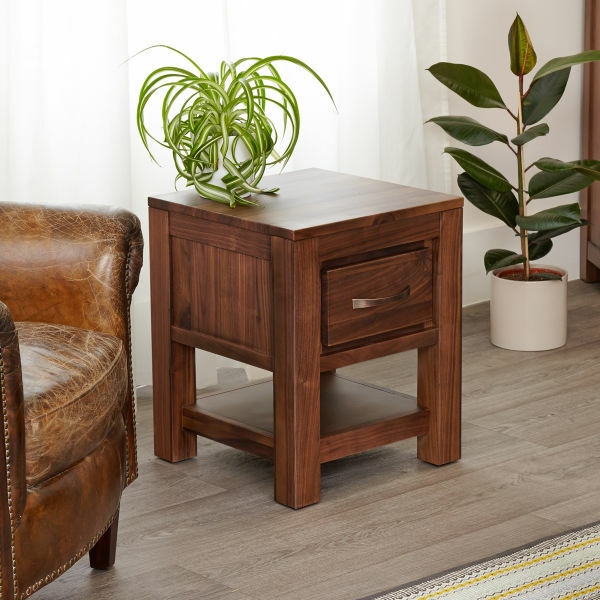 Crafted from solid wood throughout, this adaptable lamp table is solidly built, delivered fully assembled within five working days and comes with a five year manufacturer warranty. 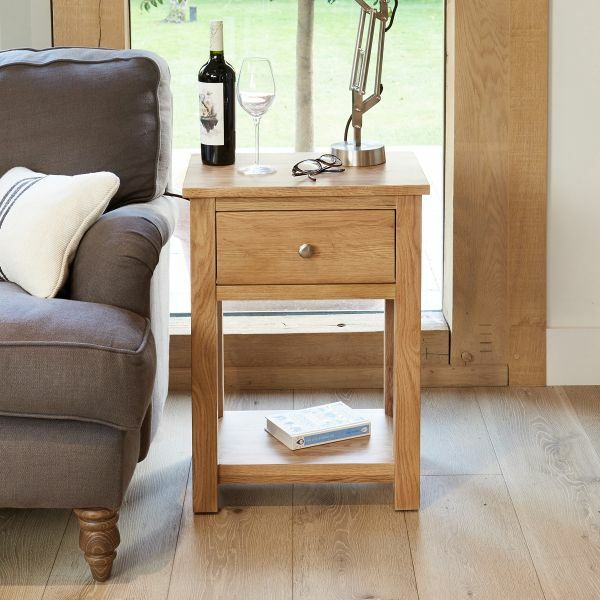 If you're looking for an elegant alternative, why not consider our best selling Mobel Oak one drawer lamp table?